The Aqua Sphere Microfin HP fins are designed for training sessions for competitive swimmers. 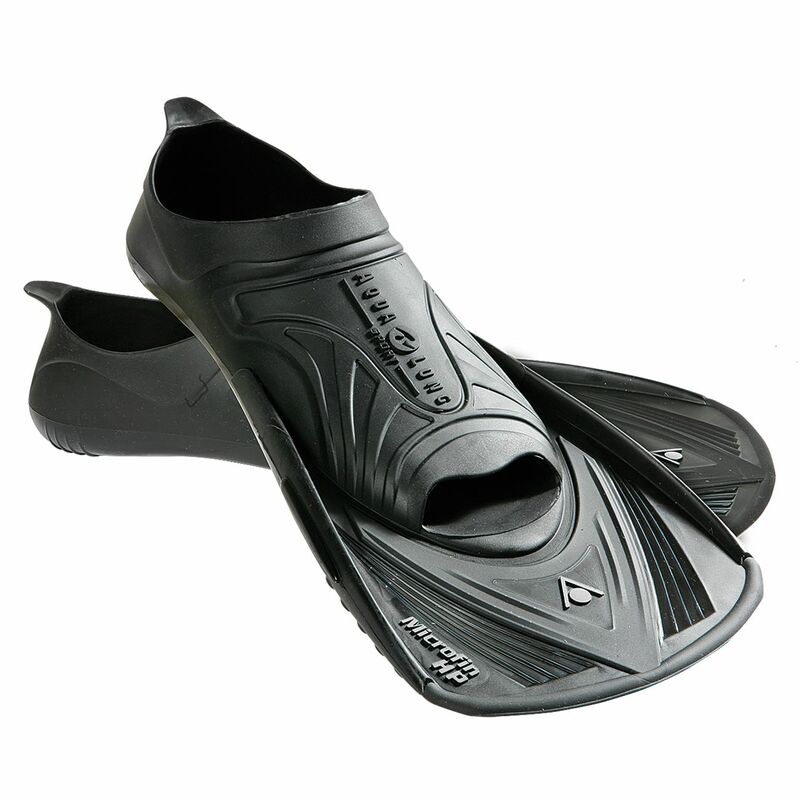 The sole is rigid and helps stop cramp from developing, and the foot pocket transfers power efficiently from your feet to the fins to propel you forwards. The blades are short and keep your feet at the surface of the water, improving technique. Anti-slip rubber pads on the base ensure better grip on turns or on poolside, and the flippers are made from strong materials for use time after time. for submitting product information about Aqua Sphere Microfin HP Fins We aim to answer all questions within 2-3 days. for submitting product information about Aqua Sphere Microfin HP Fins. We aim to answer all questions within 2-3 days. If you provided your name and email address, we will email you as soon as the answer is published. for submitting product review about Aqua Sphere Microfin HP Fins.